Aversion is anything that you don’t like or don’t want. As yogis we have plenty of opportunity to experience aversion as we confront experiences that we don’t want or that we push away on our yoga mats whether they be physical, emotional, mental, energetic or spiritual. 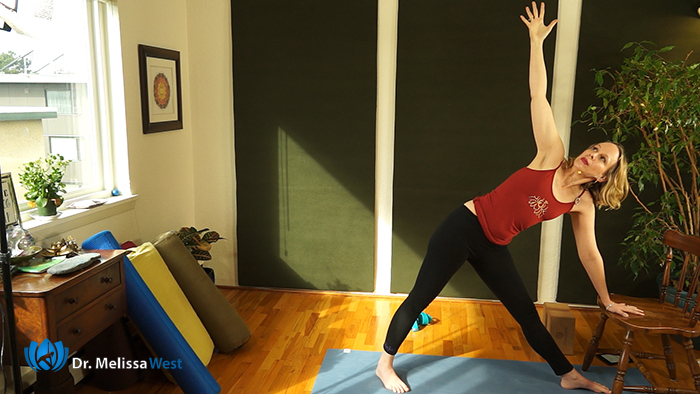 You may not like a yoga posture, you might feel resistance to a certain emotional tone such as anger or frustration, you may push away the very common experience of a mind that chooses to go over and over something that is bothering you, you might fight fatigue, or you may even experience some resistance to the concepts that are being offered through the teachings. Aversion is most commonly described as anger, hatred, rage, jealousy, and fear. I find when they are described this way it is easy to not identify with them. 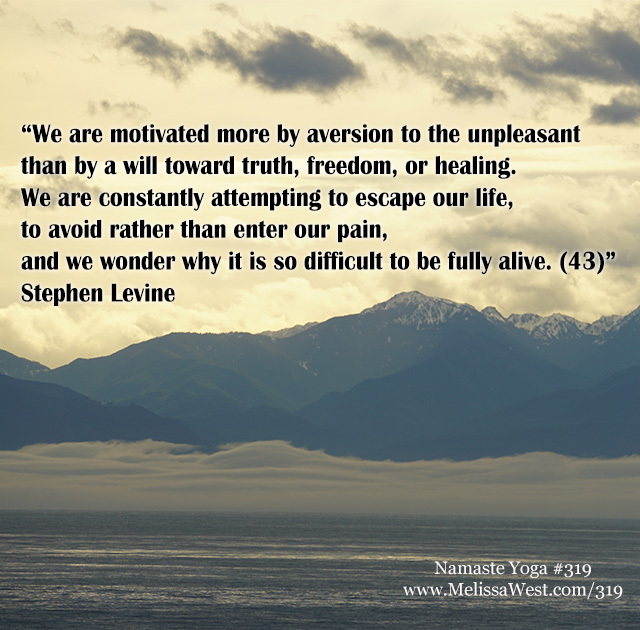 In truth, we all experience more subtle forms of aversion on our yoga mats and throughout our day. Check in with irritation, impatience, boredom, annoyance, frustration, resentment and sorrow. These are normal parts of our yoga practice and our lived experience. 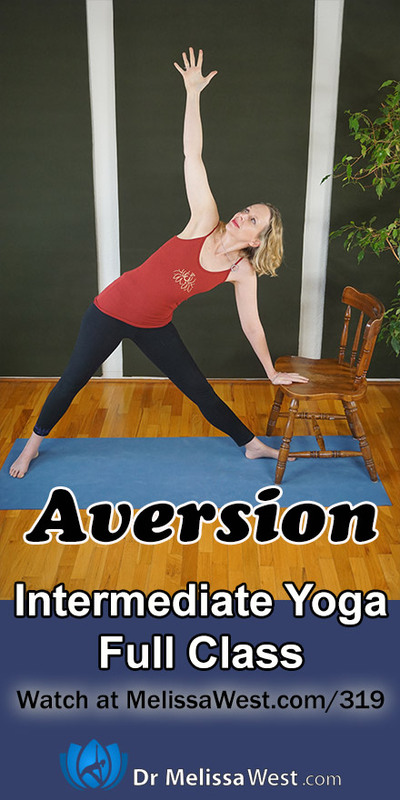 I think in the context of our yoga practice, it is important to note the distinction between aversion and a safe yoga practice. There may be certain yoga poses that you avoid or modify to keep your body safe because of illness or injury or to avoid injury or illness, but it may not necessarily indicate an aversion to the yoga pose or practice. On the other hand, you may actually experience aversion on a mental level should you experience irritation, impatience, boredom, annoyance, frustration, or upset mentally when you take a modification to keep yourself safe. We can bring our moment to moment awareness to check in during our yoga practice. When we observe and are open to the unpleasant emotions, we can notice the feeling and embrace irritation, impatience, boredom, annoyance, frustration, resentment and sorrow with compassion and loving attention. Attention to aversion asks us to be present rather than run away and hide. When aversion arises, we can remember it is not personal, it is a visiting force of our mind. It has simply clouded our mind and distorted our vision of our present moment experience. It is a gift to remind us of how we are not accepting things as they are and trying to make things better for us. 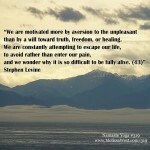 We can notice how we are trying to change reality and exert control. When aversion arises, we bring loving kindness, compassion and forgiveness to this temporary state of mind. If you would like a list of the antidotes to the five hindrances sign up below and I will give you a list of the 5 hindrances and their antidotes. If you would like more support in probably the most avoided yoga pose, savasana, then I would recommend our savasana class in our membership community. It is part of our postures and pranayama section.